Enterprise Homes announced that several of its recently developed communities were recognized –Harper House in Columbia, Md. as recipient of an Urban Land Institute (ULI) Baltimore WaveMaker award; The Greens at Liberty Road in Randallstown, Md. 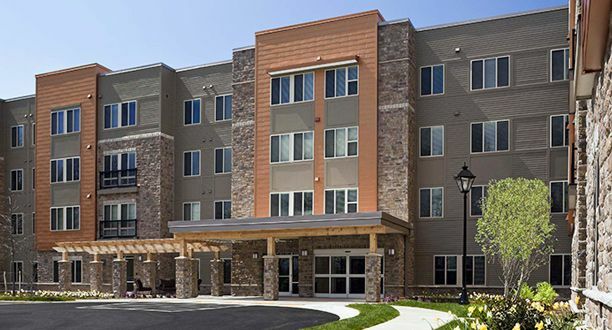 as the overall winner of the Property Management Association’s (PMA) Apartment Community Excellence (PACE) Award for “Affordable Communities with Rents Less than $900”; and The Greens at Hammonds Lane in Brooklyn Park, Md., also honored by the PMA as a 2012 distinguished community. “Our reward is building quality, affordable for-sale and rental homes for people from all walks of life,” said Chickie Grayson, President and CEO of Enterprise Homes. “The icing on the cake is the recognition we receive by such notable organizations as ULI and the Property Management Association.” More information.